2019 is a big bang year for India, with the Indian general elections looming large. How will this impact India's PR business, what are the key business challenges for PR in 2019? At what rate will be PR business grow? 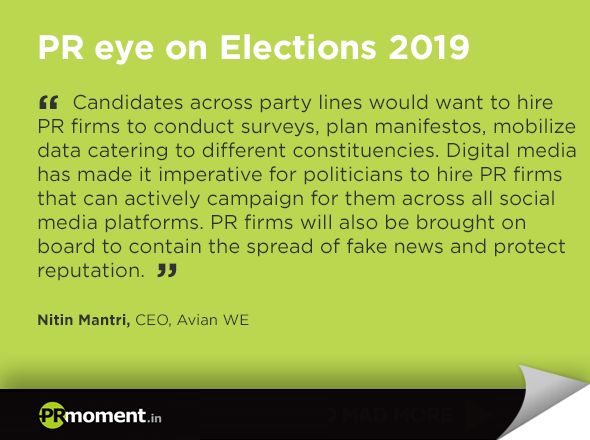 The top leadership of the PR business in India speaks to PRmoment India for this very special year-end story on what will 2019 be like for PR in India. The Indian PR business has been steadily growing in double-digit figures for the last 3 to 5 years. Growth in 2019 is strongly tied to how the general elections turn out, with the corporate sector slowing down on outreach in an uncertain political environment. However, many of the PR leaders PRmoment India spoke to, forecast strong growth opportunities which are election agnostic. This has led to a fairly wide variation in the double-digit growth forecast figures for PR. Nitin Mantri, CEO, Avian WE, and president PRCAI, commented that, "We expect the industry to grow in the double digits next year as well. India has continuously outperformed the global PR market (growth slowed down to 5%) and next year should be no exception. The year 2019 is expected to be exciting as well as challenging with Lok Sabha elections, Cricket World Cup and IPL lined up. These three events may lead to growth in the overall media industry, but one can also hope for more stability following the election to sustain the pace of growth. Depending on the post-election scenario, there are possibilities that growth may slow down but not dramatically." 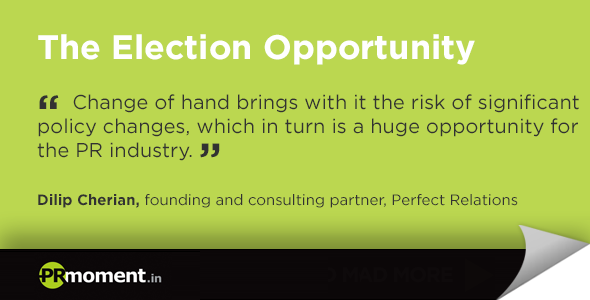 Dilip Cherian, founding and consulting partner, Perfect Relations believes that, "We are in the midst of a structurally high growth phase and has been on a path of broad-based recovery in growth over the last four quarters. Moodys and IMF peg India’s growth at 7.5 % in 2019, the economy is in cyclical recovery but higher oil prices and tighter financial conditions will weigh on the pace of acceleration. However the elections will open a whole new opportunity for growth in 2019, I anticipate the industry growth rate to be around 12% but not in the conventional PR sector alone." 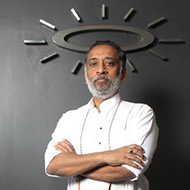 Explaining the reason for his forecast Cherian points out that, "Clients are willing to pay top bucks for outcome driven PR campaigns, where the PR fees can be directly linked to the outcome of the campaign. In the long run, agencies which are able to evolve around adapting newer technologies and putting in more skin in the game will be able to demand top dollar. That’s why my growth rate figures are conservative." Rakesh Thukral, managing director, Edelman India, said that while, "The average growth rate may stay in the same range, (double digit) the bigger issue is to improve the profit margin for the industry. Echoing Cherian's views, Thukral also said that, "Ïn our experience, if clients see value in counsel and impact through fresh ideas, there is always scope to drive more work. With the rapidly changing communications landscape, we will need to continue to work hard to develop sharp, outcome-driven campaigns." Valerie Pinto, CEO, Weber Shandwick, commenting on the growth in an election year issue, puts it succinctly saying, "We are at the brink of change and elections or no elections the value of PR as a business partner is getting clearer and clearer each day leading to newer opportunities and newer growth possibilities." Pinto adds that, "2019 is likely to see a huge explosion for the PR business This growth is not connected to the elections alone. It's because of the evolution of the PR ask from the corporate side. The value of the offering is well outlined and the pressure on the client side to deliver results linked to business outcomes has increased. This is opened three new streams of business for every PR agency so double-digit growths are definitely very much possible and sustainable." 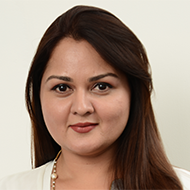 Deepshikha Dharamraj, managing director, Genesis Burson -Marsteller, however, sounds a note of caution saying, "Elections years are always tricky. While there is spending by political parties and individuals, businesses don’t communicate as much, because they are waiting and watching for the outcome of the elections. So while we would hope to sustain the previous years’ growth rate, it would really depend on the results and the consequent business sentiment." 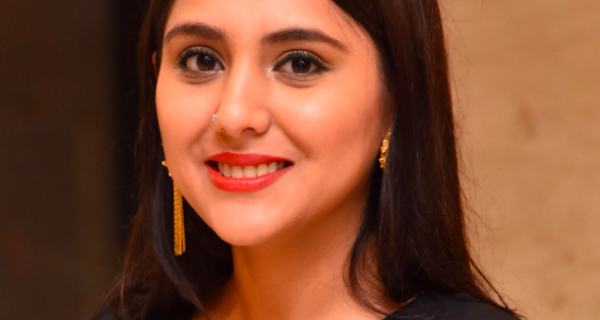 Archana Jain, managing director, PR Pundit, "My optimism leads me to believe that the PR industry should be able to grow in the same range ( 13 to 18%) in 2019 too. 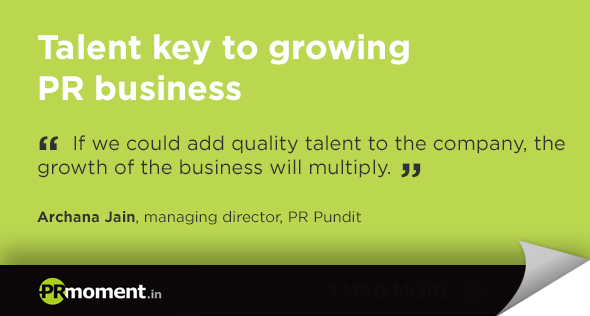 At PR Pundit, we have maintained a CAGR of 15% over the last 5 years and expect to be able to sustain a similar growth trajectory in 2019 too. Our diversified portfolio should help us overcome the economic uncertainties in an election year. The key will be in preparing to keep costs under check." 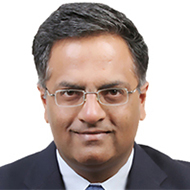 Aniruddha Bhagwat, director, Ideosphere Consulting shares Jain's optimism for a very different reason, he says, " Being an election year, the impetus on the development and core industries will be high. We should be able to sustain the double-digit growth rate from the past 2 financial years, and due to corporates looking to rejig their position aligned to existing or new leadership, the growth rate could be closer to 18-20% overall for the industry. The growth will be largely digitally-led and mass media supported. Rishi Seth, group CEO, Cohn & Wolfe Six Degrees PR also predicts robust double-digit growth, "We think that the growth of the industry should be in the 15% region for next year too. The size of the industry is still moderate and the scope of services that public relation firms are providing clients is expanding. This will provide enough opportunity to grow in mid to high double-digit growth for the next few years." 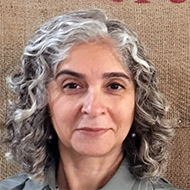 Kavita Lakhani, president, Golin Opinion, believes that, "The PR industry will retain its growth trajectory at an estimated 10% in 2019. PR firms will continue to build their capacity to provide customised offerings to ensure Clients rise to the top in search and social in a world that judges you by a YouTube video, a blog post or a photo on Instagram. " Most of the PR leadership we spoke with outlined flat retainers and profit margin as a major ongoing growth concern. Madan Bahal commented that "Flat PR retainers will impact margins more than top line growth. There is a significant gap between the average service cost inflation and the fee hikes. This continuing gap will have an impact on the evolution of PR consulting firms." Explaining how this could impact growth, Nitin Mantri shared that, "Firms will have to compete for more project-driven work. We saw a bit of that in 2018 and I believe that is one trend that will stay through next year and beyond. Good ideas will get the budgets and will lead to growth in the industry. The positive side of this trend is that we will get to do more integrated work." 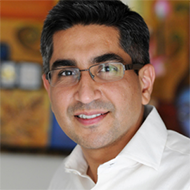 Mantri adds that, "Our work has changed and clients need to reinvent themselves. Consulting fees are not going up for traditional PR, while that is not the case for integrated communications. This is where clients need to reinvent themselves about PR. They should give us work for integrated PR, let us show what we can do because we have so many services to offer - marketing, corporate communications, public policy, digital, content, design, and multimedia. Clients and firms should work in tandem to elevate the industry and bring in more revenue. This will also attract good talent." Aniruddha Bhagwat agrees saying, "There will be great shifts in the way consultancies are structured, and as there is room & demand for both, we may start to see clear segregation of traditional delivery, high volume, low margin and value-based delivery, low volume, high margin consultancies within the industry." 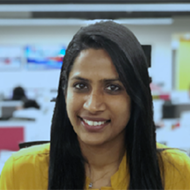 Archana Jain opines that flat retainers will create, "Pressure on cost management and getting talent to be more productive." Availability of top talent is one of the top two growth challenges for PR in India according to the PR leadership in India. Madan Bahal says, "Talent is the biggest cost element in the balance sheet and it is growing as a percentage of total cost. Availability of good talent will certainly be an impediment to growth and its availability at the leadership level, is a crisis situation." 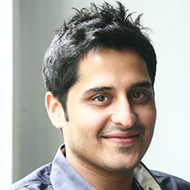 Nitin Mantri agrees that, "Hiring talent that addresses specific social media, visual, creative and digital requirements of the industry has been a challenge over the years. High attrition rate at the entry level has also been a huge issue. This takes a huge toll on the organization exchequer and slows down growth. The cost of training people in FY 2018 has been Rs 17 crores which has increased from Rs 11 crores in the last two years. for the PR industry as a whole as per PRCAI data." Valerie Pinto too flags off Talent as the highest cost for PR firms. She however also believes that, "It is the single factor for driving strong growth. So talent diversification identification and selection will be critical for 2019." 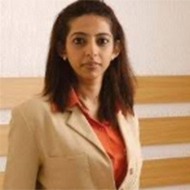 Kavita Lakhani, says, "Finding and integrating ‘new age’ talent will emerge as the top challenge for a PR firm. PR firms are changing their offerings radically, hence the talent mix would need to change accordingly. Attracting and integrating different talent like content creators, video storytellers, data analysts, planners, creative directors will be critical, as well as will be the upskilling of existing senior talent to align them to the new digital norm." Rishi Seth says, "We are in the people business, therefore it is natural for the biggest cost for the PR business to be on talent. While talent is a reason for constraining the growth of the industry, I would point out that it is not only the quantity but also the quality of talent. Therefore, we as an industry need to become more attractive for smart youngsters making career choices as early as high school." Inspite of the elections looming large, the PR leadership in India firmly believes there are growth opportunities that are very strong. Madan Bahal elaborates saying, "There will be growth across the board. Most practices and sectors in the hyper-competitive and disrupted world will need sound public relations counsel and execution capabilities." Bahal, however, adds a rider commenting that while " The growth in emerging areas will be higher but so will be the churn rates of clients in such sectors." Nitin Mantri also agrees that in today's hyper-connected world, "Crisis counsel will be the most relevant skill set. We are seeing fears about data privacy and abuse and communications firms have the responsibility to make brands comfortable with the media environment. According to the PRCAI report, public affairs (PA) has played a major role in driving the industry’s growth this year. PA practice across agencies have witnessed a 40.7 growth this year, the highest after the growth of crisis and risk management. Given India’s complex market, varied demography, an intricate legal system, and regulatory policy environment, PA will continue to gain importance over the years." Mantri specifically marks tech and pharma as two sectors that see a lot of regulatory action and would require deep and ongoing PR counsel. Valerie Pinto prioritizes, "Integrated thinking, planning, and implementation", as areas that will definitely see greater growth. 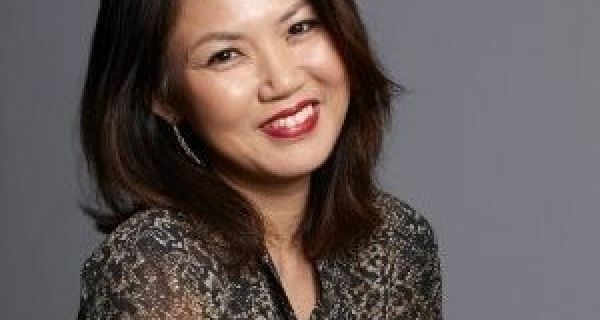 She also says, " Investment in analytics, followed by creative, content, innovative storytelling and SEM will see greater growth. The second half of the year could see a growth in public affairs as interactions and presentations to the new government in power will be a critical task. CSR budget has doubled over the last one year. This is likely to be linked with public affairs budgets and therefore will see strong growth." 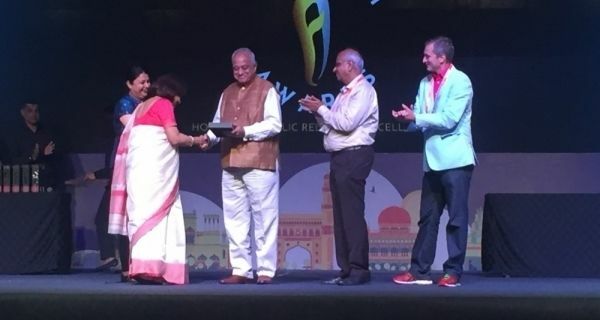 For Archana Jain, too, public affairs is a winner; along with digital services, FMCG and healthcare. 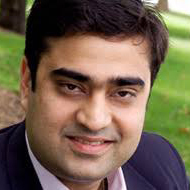 Jain adds that, "Digital services will continue to grow faster. We are banking on owned and shared media services to provide incremental growth even if other sectors slow down." For Aniruddha Bhagwat, "Envisioning campaigns using a mix of all the verticals will be the reality, as customers will start to demand ambidextrous teams. Incidentally, as customer demands change, the communication upskilling and training industry will see a great potential for growth." Dilip Cherian, sees top potential in, " AI as it has the potential to automate some of the most important PR functions. The PR industry will soon need to deploy data scientists; who with their ability to analyze data will be able to produce the most robust PR campaigns. Data science, machine learning, and artificial intelligence should make public relations easier for most companies, from predicting when customer interest will be highest to identifying potential crises and mitigating them." 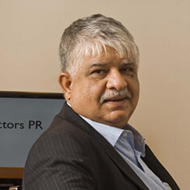 Cherian adds that, "Grass root communications in politics and most interestingly tier II and tier III engagement in the FMCG segment will see greater demands for PR services." Thukral believes that, "Advocacy work may see more mandates in the second half of 2019. We expect Digital and social media to continue to grow, with content as a critical part, both on the reputation and brand side mandates. Important to note that content creation or video storytelling are not verticals any more. They are part of campaigns across sectors." There are, therefore, strong opportunities and strong challenges for the PR business in India in 2019.